New Album - Welcome To The Stonewheel Website! "Til The Cows Come Home" Is Here! 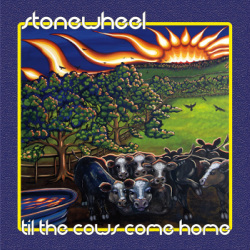 Announcing the release of Stonewheel's fourth full length record of all new original material. Available now at cd baby, iTunes, amazon.com, and other fine retailers near you. Head over to the AUDIO section of this site for a preview, or join us on facebook or myspace for more. And don't forget to request us on your favorite radio station!